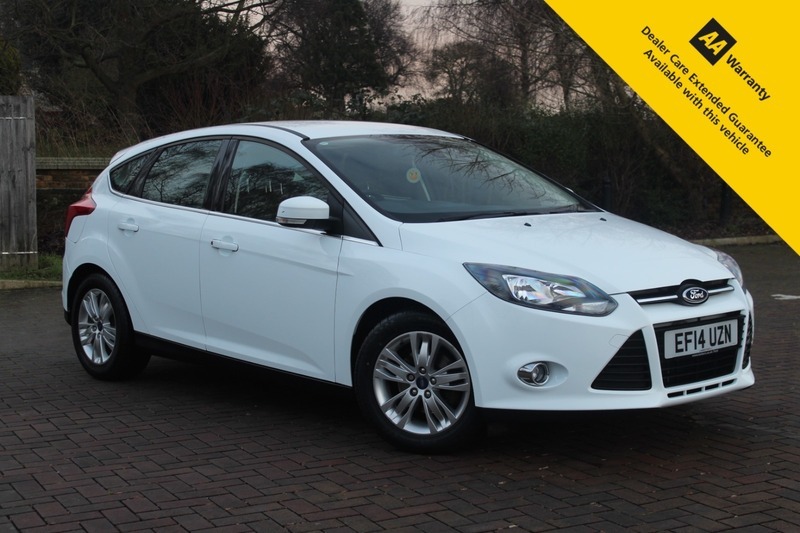 Here for sale at Leigh Cars Ltd we are delighted to present this impressive 1 OWNER FROM NEW LOW MILEAGE Ford Focus 1.6 petrol 5 door AUTOMATIC Titanium Navigator. The Titanium Navigator model comes with an unrivalled specification list including electric windows and mirrors (folding), climate control, auto lights + wipers, cruise control, bluetooth connectivity, sat nav, parking sensors, alloys + much much more. This beautiful example has a SUPERB FULLY STAMPED SERVICE HISTORY - LAST SERVICED @ 19k. It also comes with a BRAND NEW ADVISORY FREE MOT - EXPIRY FEBRUARY 2020. This fine example comes with 2 fully working remote keys and is finished in the popular white paint and has had GAURD X PAINT & INTERIOR PROTECTION PROFESSIONALLY APPLIED FROM NEW and is in beautiful condition inside and out. This car is perfect for a growing family or maybe someone looking for a fantastic low mileage automatic hatchback with an abundance of specification. This car will only cost £155 per year to tax and will return you an average of 44.8mpg, so is nice and economical to run for an automatic petrol and it truly is a SUPERB DRIVE.